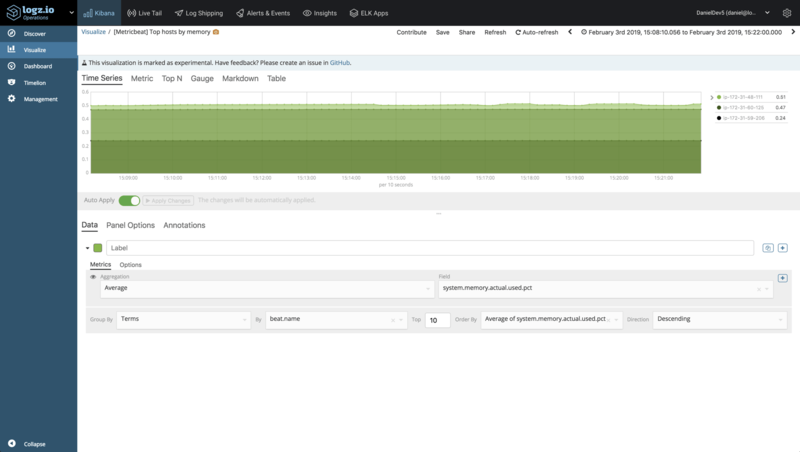 Learn more about server monitoring with Logz.io and the ELK stack. In a previous article, we explained the importance of monitoring the performance of your servers. 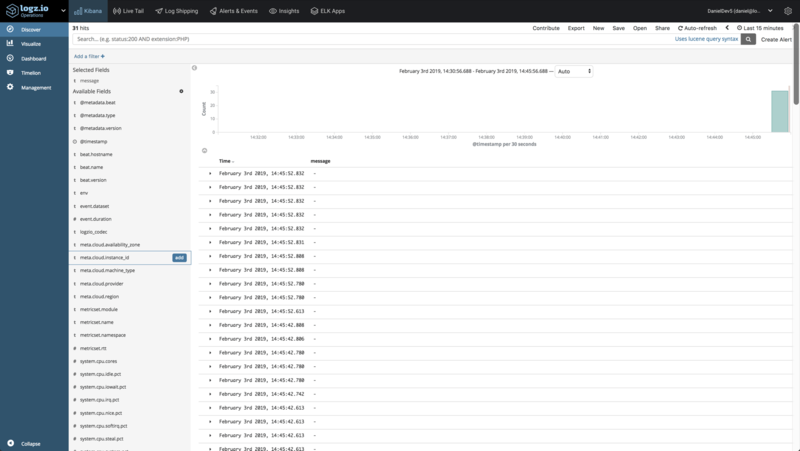 Keeping tabs on metrics such as CPU, memory, disk usage, uptime, network traffic, and swap usage will help you gauge the general health of your environment as well as provide the context you need to troubleshoot and solve production issues. In the past, command line tools, such as top, htop, or nstat, might have been enough, but in today’s modern IT environments, a more centralized approach for monitoring must be implemented. There are a variety of open-source daemons that can be used for monitoring servers, such as StatsD and collectd, but these only handle the process of collection. These need to be complemented by solutions that can store the metrics and provide the tools to analyze them. 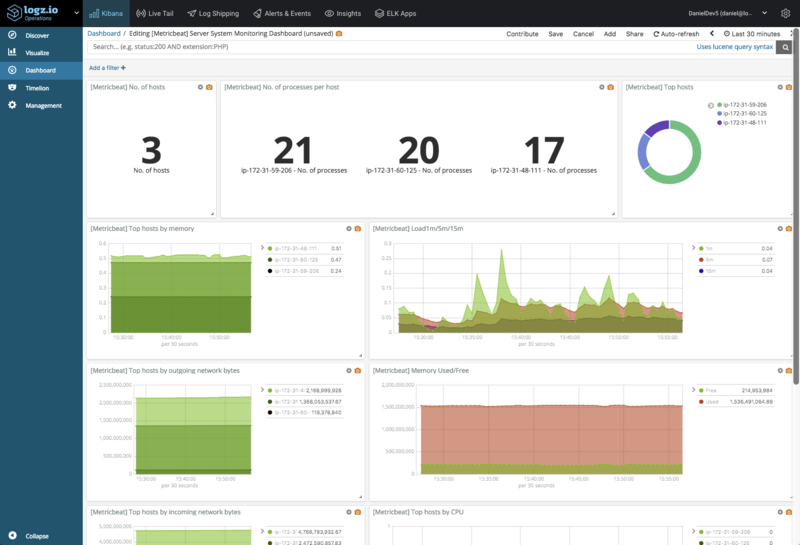 That’s where the ELK stack comes into the picture — providing a complete platform for collecting, storing, and analyzing server metrics. 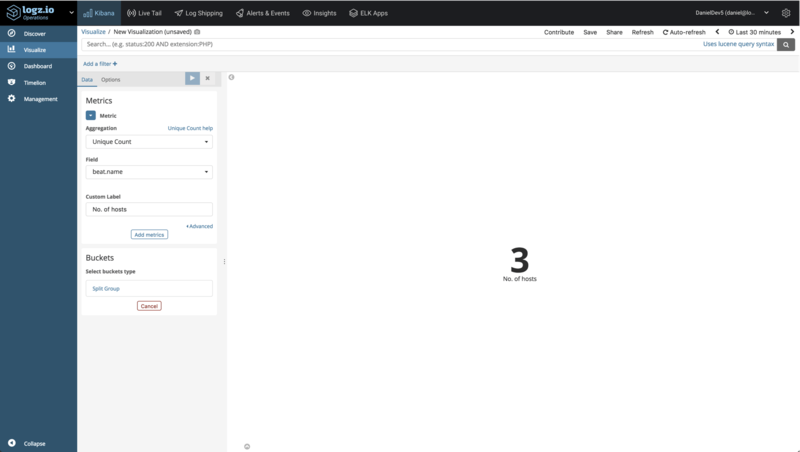 There are various ways of installing Metricbeat, but for the sake of this article, we’ll be installing it from Elastic’s repositories. Within each module, different metricsets can be used to ship different sets of metrics. In the case of the system module, the default metricsets are CPU, load, memory, network, process, and process_summary. And the examples go on. 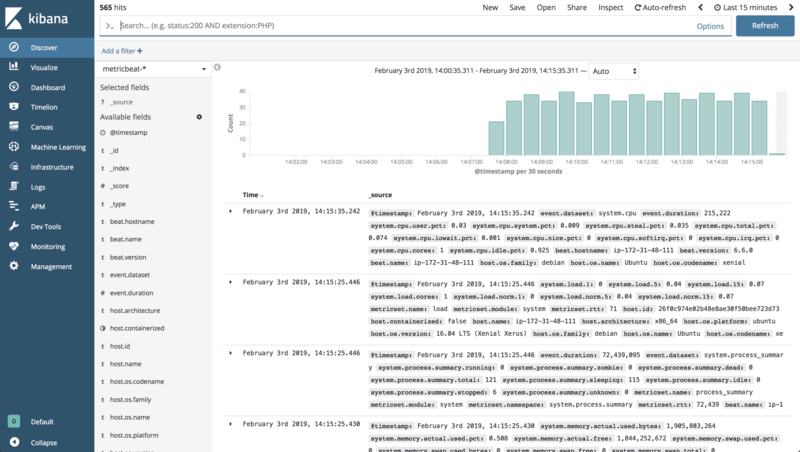 There really is no limit to how you can slice and dice the data in Kibana, and the best way is to experiment. Once you have all your visualizations ready, simply add them into one dashboard. 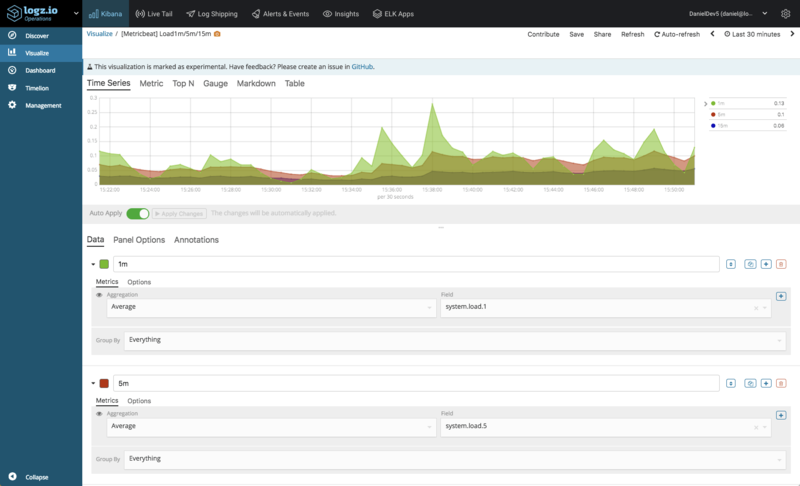 This dashboard is available in ELK Apps — Logz.io’s library of Kibana searches, alerts, visualizations, and dashboards, together with other Metricbeat dashboards. Simply search for “Metricbeat” and install any of the listed dashboards in one click.